The occurrence object’s motion due to the transformation of HTML element is known as Animation. It is not required that AngularJS applications fully comprised of animations, but those animations should make the user to understand about the application easily. Step-1 : In order to use AngularJs Animations in applications, include the AngularJS Animate library, which looks like below. Step-2 : The module ngAnimate has to be binded to ng-app directive or if the application is given a name, add ngAnimate as a dependency in the application module. AngularJS do not create animation by animating HTML elements. The pre-defined classes are added and removed by ngAnimate module. 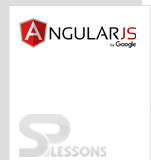 All the above directives are discussed in AngularJS HTML DOM chapter. The motion of objects due to the transformation of HTML element is known as Animation. To add animation to the AngularJS Application, you should add ngAnimate module to ng-App directive.